HomeChromatography SystemsSequential Multicolumn Continuous Chromatography. Nilsan is a reputed provider of Sequential Multicolumn Chromatography systems in collaboration with Novasep, a world leader in chromatography technology. For decades, Novasep has worked on continuous Chromatography Process Development and has built the largest FDA-audited continuous chromatography platform at commercial scale. 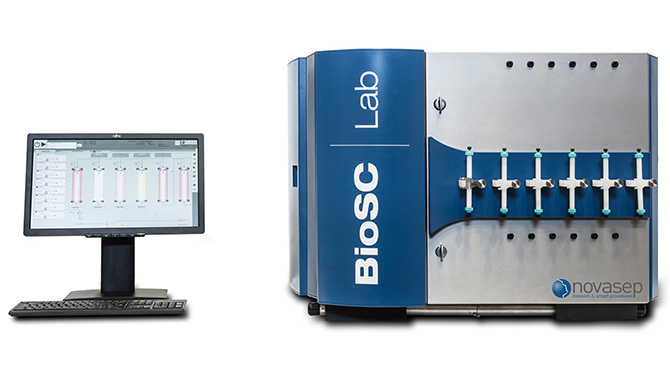 To adapt to the current bio pharma challenges, Novasep is committed to delivering expertise in Sequential Multicolumn Liquid Chromatography know-how by developing the state-of-the-art BioSC® Sequential Chromatography platform. 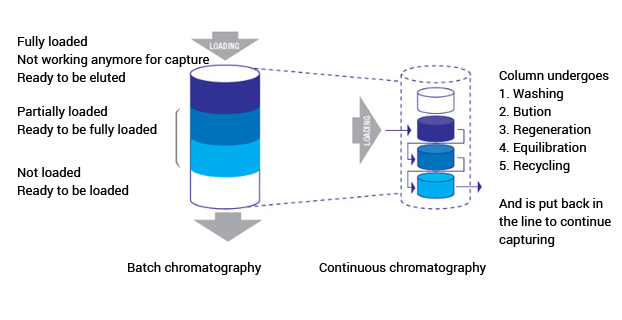 Adaptability: Operations from 1 up to 6 columns in batch, parallel batch, continuous chromatography or continuous process easy switch from batch to continuous, optimizing process parameters with BioSC® Predict software.